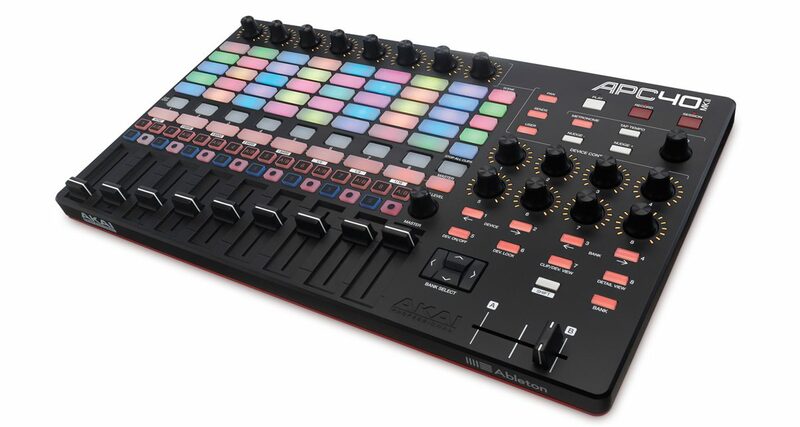 The Akai APC40 MkII is a Midi controller for use with Ableton Live that has pads, faders and knobs. 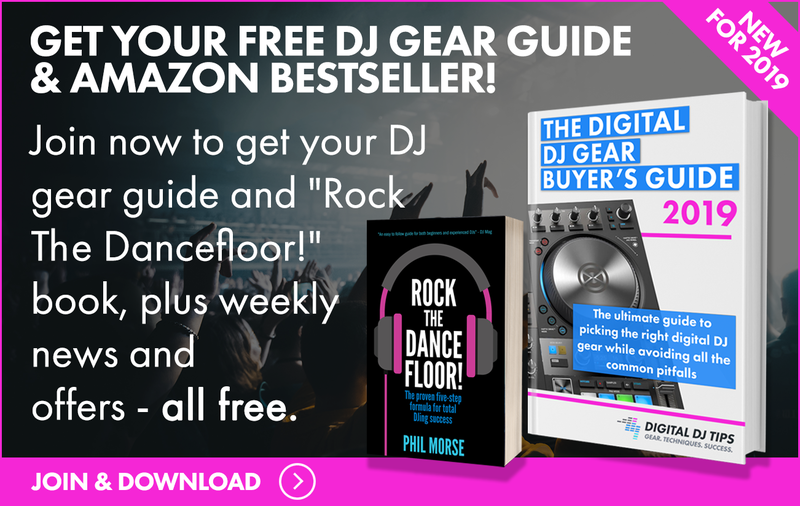 It’s a streamlined version of its predecessor, and it retains much of the functionality that made it popular among the DJ/producer crowd but in a more portable, compact, and sleek design. The Akai APC40 MkII is meant to be used with Ableton Live’s Session View. It features 40 buttons arranged by five scenes deep and 8 tracks wide. One of the notable updates from its older version is the now RGB-enabled pads which reflect the same colours on Live’s tracks, which also displays three clip status – loaded, playing, and recording. Out of the box the fully USB bus-powered APC40 MkII will plug-and-play to your computer running Ableton Live with no additional configuration required. At the same time, the assignable buttons may be customised for the User Mode interface. The new layout of knobs and buttons is a response from user requests from the previous model such as moving the eight control knobs from the upper right to the top of each track. One of the best additions to the MkII are the RGB-coloured pads for better visual organization, reducing the need to look at your computer screen, and making Ableton Live come to life and in a tactile controller. APC40 MkII has a US$200 markdown from the original, which also means a slight downgrade in build quality: It has done away with the metal parts and replaced it with plastic. A number of users complained that the buttons and knobs aren’t as sturdy as they were before; some have added reinforcements or had to glue the knobs and faders so they wouldn’t fall off – maybe a defective unit, but it’s good to keep that in mind. For travel purposes, a case is a must for this one. The APC40 MkII shines in what it is meant to do – a controller that plays seamlessly with Ableton Live’s Session View. As a production instrument, there is no way to input notes, no step sequencer and no way to map out MIDI, which you will need an additional controller for. That said, APC40 has a clear purpose towards live performances and arrangements, and playing back and mixing of existing clips. It’s a fun and intuitive device that allows you to use Ableton Live in a live environment.